I did it! I have been telling myself that I don’t need it and the papers just keep piling up in my closet, so I finally did it! I canceled my newspaper subscription! For the past 3 or more years I have been a loyal subscriber to our local Sunday paper for the sole purpose to get the coupons. At first it was great! There were so many deals every week and I was using those clipped coupons multiple times weekly. Well, times have changed and there is just no need for them now. The store that has everything! You can literally buy anything you need from birth (diapers) through your last day (casket). But that doesn’t necessarily mean you should be buying it! It is really common to think that Costco has the very best deals. Don’t be fooled! First, let me just say that this is an amazing store, I am a huge fan! I do my monthly grocery shopping there every single month actually! But, though it is filled with great deals, there are a few things that you really shouldn’t be buying there. In fact, these few products are really a “bad deal” when you buy them at Costco. Before we get started, if you like to save money on groceries then you NEED to read about how I am obsessed with monthly meal planning here and how you can cut your grocery bill in half! Plus! Sign up for my weekly FREE newsletter to get insider tips on living frugal and fabulous tips that I don’t always share here on the blog! Sign up to get your FREE Monthly Meal Planner! If you’re not going to be buying these things at Costco any more, where should you buy them? Remember that smaller regular grocery store just down the street? Yep, they will actually have the best deals and don’t forget about Target! Target is always stepping up their savings game. Deodorant $1.35 per oz. $0.48 per oz. Shampoo and Conditioner $0.30 per oz. $0.12 per oz. All Purpose Cleaners $0.05 per oz. $0.02 per oz. Aren’t those prices just awesome and I’m not talking knock off brands here! I am talking about name brand, great quality products for super cheap prices! Those Costco prices are at minimum double what you should be paying! How do you get these low prices? 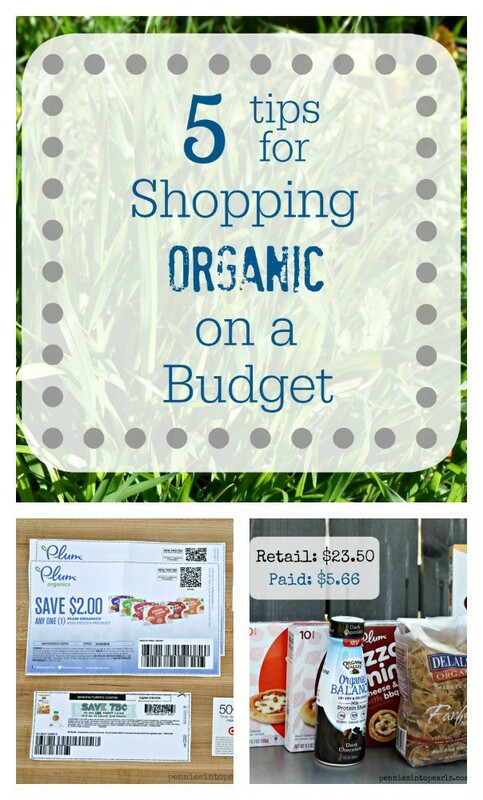 Match sale prices at your grocery store or Target with coupons and money saving apps. As a matter of fact, I will do that part for you! Every Tuesday right here on Pennies into Pearls I find all the rock bottom prices for you. Not only that but I match up any coupon deals and amazing app deals that you can stack on top of the sales to save you the very most money! 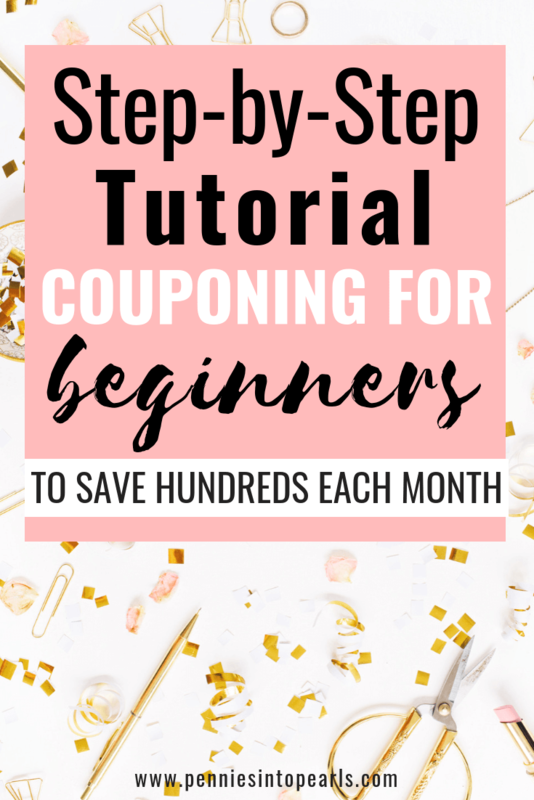 If you are new to couponing then you will want to take a quick peek at Casual Coupoing 101 to get yourself familiar with how couponing works. I call it “casual” because it is not going to take you any time at all! 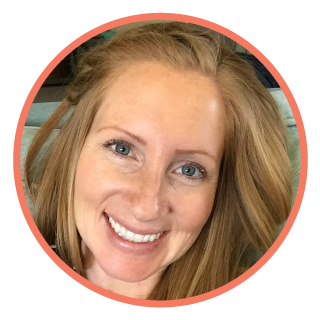 I spend less than one hour a week and save $100s each month! YOU, you won’t have to spend even close to that amount of time if you visit Pennies into Pearls every Tuesday. I will have all the hard work done for you! So, with a little bit of watching you can get these products for less than half of what it would cost you at Costco. Does this change your view of your Costco shopping list a little bit? Make sure to follow me on Facebook, Twitter, and Instagram to get even more money saving tips and deals throughout the week! Let me teach you how to save hundreds of dollars EACH MONTH by spending only 15 minutes each week couponing! One question I get asked all the time is, “Is it worth it?” My answer is, it depends on your situation. IF, you are someone saving every single penny working towards a goal, then YES! Maybe saving up for a super rad vaca or perhaps paying off loads of debt. Then casual couponing is for you! IF, you are looking to cut spending but not necessarily scraping by, then nah. Stick to shopping the sales (NEVER pay full price!) and you will save plenty. BUT take a look at the apps below so get you some extra spending cash! Have you thought about couponing before but got discouraged because of all the time that goes into it? It doesn’t have to be that way! It doesn’t have to take hours and hours getting ready to go shopping! I spend about one hour a week getting my coupons and shopping lists ready. This post is all about how you can do the same thing by doing what I like to call “casual couponing”! Whether you are an expert “extreme couponer” or a “beginning couponer” these tips will help you cut time and money out of your monthly grocery shopping! What does it mean to casual coupon? The idea behind casual couponing is that I still am saving a couple hundred a month on my grocery bill but I am not spending nearly as much time prepping or shopping to do so. I only look for the really great deals and only use coupons when it’s worth it. Worth it to me means buying products that my family uses on a regular basis and I am able to buy them on sale, leaving me only paying less than 50% the original price. So here is the breakdown on what you need to know to be a casual couponer. Save yourself some major money without having to spend all your time prepping! As I am posting deals that I find, you might see a few abbreviations and here is what they mean. I am starting to move away from purchasing a Sunday newspaper but I still use them every once in a while. Here are the abbreviations you might see along with a distribution date or the date when they come in the paper. These coupons might also come in your normal weekly “junk snail mail” so keep an eye out because those are free! One of the easiest ways to save money is by using these great apps! Most of them work as a rebate offer. This means that you submit your receipt through the app and once your receipt has been approved you automatically get the rebate amount added to your app account. Once you hit a certain amount set by the app you can cash out for things like gift cards! What’s more is you can combine these with using coupons! That means even more savings! So let’s say that a product is on sale for $2.00 and you have a $1.00/1 coupon plus there is an app rebate for $1.00. That makes this product free! See how you can use both coupons and apps on the same product? Things to note about the rebate apps; usually you can only use the rebate once and make sure to browse the deals before you go shopping. Not all deals are available at all stores. Within the same app, one deal might be available for a certain product but not available at a different store. Even easier! Other apps like Shopkick give your rewards for just walking in the store! Easy money honey! You can also earn rewards even faster by scanning a few different items as your peruse the store. Grocery stores typically have a sale cycle that starts Wednesday and goes through the following Tuesday. Major retailers like Target and Walmart sales usually run Sunday through Saturday. Everything has a season. Specific products usually go on sale around the same time of year and they aren’t hard to predict. There are a lot of really great blogs out there that can map it out but for the most part they are fairly easy to gauge. For example, with spring just around the corner you can count on things like outdoorsy stuff (BBQ, outdoor lighting, grilling tools) and cleaning supplies to go on sale. The reason to know the sale cycle is to know how much to stock up or how much to buy. If you know that the specific sale price will be back soon then you don’t need to stock up so much. But if it is a product that you know your family will use fairly quickly then you might want to load up one of your pantry shelves. Hint: most products are on a 2 month sale cycle, meaning you will see a sale price on a specific product every 2 months. Now we have the logistics in order. Here is my weekly routine on how I casual coupon. It really is super easy! 1. I look through the ads and look for things my family will eat that are on sale. 2. Search through my coupons (print, digital, and apps) the match them up with the sales. This is key! Match sales with coupons and other savings! 3. Create my weekly menu around what is on sale and what I bought last week on sale. Over here in San Diego where I live it is no secret that the cost of living is not the lowest. So keep in mind as you see me post deals I find you might be able to find them even lower at your own local stores! There will always be great deals every week but I pick and choose where to spend the money and time. One great thing about using coupons is sometimes there is a smoking deal on a new product. Normally I wouldn’t try it but because I can get it for a super low price with coupons/apps my family and I get to indulge a little. But here is a small list of items I typically shop for with coupons. This short list of my go-to coupon shopping items might not seem like much but even still, the little time I spend finding these deals really does save me a couple hundred dollars a month! Do you know what that adds up to in a year? Over $1,000 saved a year! I know that you can do the same too if you follow these few simple steps! I would love to hear any additional questions you might have about how to casual coupon! Leave a comment bellow and I will get your questions answered! Note: This post contains affiliate links. However, this does not influence any of my reviews or suggestions. I only tell it like I see it. Please read the legal stuff for more information. Be sure to check out my Link Party page to see where I share ideas and look for inspiration! Have you ever thought that it’s just too expensive to eat healthy? Organic… way to pricey! Well then you might be wrong! I am so excited to be featured today over at a super cute and helpful blog, Lavender and Cream! 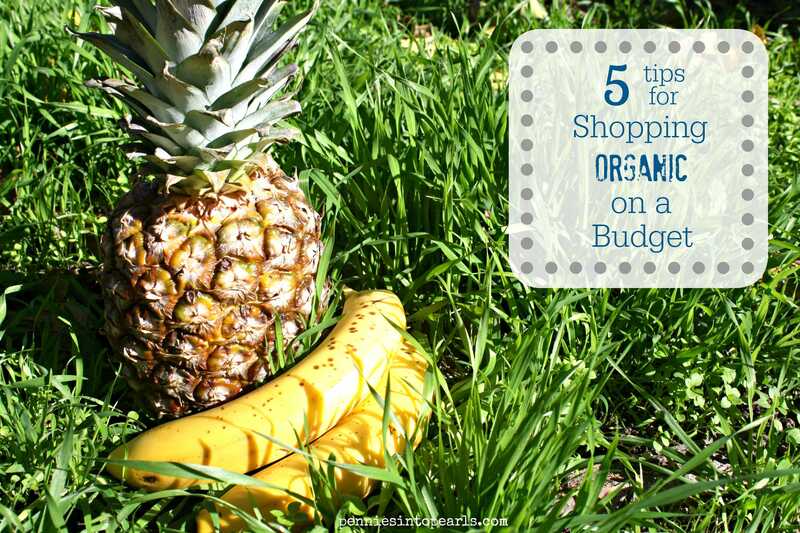 In my efforts to learn how to save money on organic foods I found all sorts of tricks on how to eat healthy without paying for it! Kelly is the one who runs the show over there and she really knows her stuff about eating clean and healthy! After you read about saving money and staying healthy you will really want to take a look around Lavender and Cream! Enjoy!